One of the famous YouTuber and singer is Queen Naija. She participated in the 8th season of American Idol. There, she made it to the Hollywood round. In 2018, she signed a deal with capital records. She is an American YouTube personality and singer who is known for her music and Make-up Vlogs on her self-titled Youtube channel. She has over 2.7 million subscribers on her Youtube channel and 150 million views so far. She has quite become a Youtube sensation to her followers. She also has a new Youtube channel with her boyfriend Clarence White. The channel is titled 'Royal Family'. Previously, she ran a Youtube channel, "Chris and Queen" with her ex-husband Christopher Sails. Their channel was closed after their separation. An American YouTube personality and Singer, known for her make-up vlogs and music. Queen and her present boyfriend Clarence has recently posted a video titled "The Official Gender Reveal of Queen and Clarence", on their joint new Youtube channel, revealing the gender of their new baby coming on its way. Queen is pregnant with a child of Clarence. According to the video, they are having a boy. 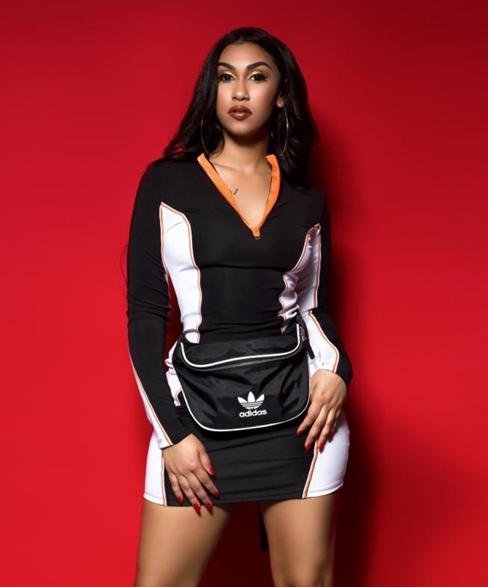 Queen Naija was born on 17th October 1995 in Detroit, Michigan, United States. Information about her parents has not been made public to the media. She didn't talk about her Parents in the Public so the information regarding her parents is not available. But she has two younger sisters named Tina and Terell. Her nationality is American. She belongs to Afro-American ethnicity. Her birth sign is Libra. She attended school at Michigan only. Queen Naija’s height is 1.55 m and her weight is 55 kg. She has a dark brown colored eye and hair is of black color. She has a balanced and healthy body. She has maintained her figure so well. 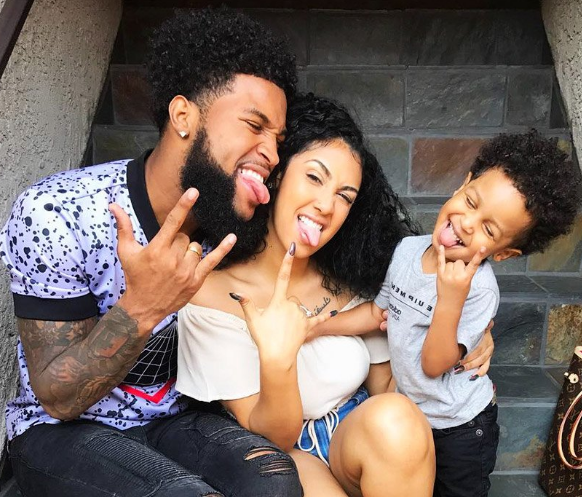 Queen Naija preferred to be a singer. So she also auditioned for American Idol season eight. She made it up to the Hollywood round. After that, she started her own YouTube channel with her former husband Christopher Sails which was named as Chris and Queen. They started posting various videos like vlogs, pranks, challenges on their Youtube channel. They gained popularity in a short period of time. They were loved and admired by their fans and followers. One of their pranks titled "cheating prank on wife" became very famous at the time. But after their divorce, she started her own Youtube channel. She started to post her music and make-up related vlog on her new channel. Queen released a new song titled "Medicine" in March 2018 related to separation with her ex-husband Chris. In 2018 she also has signed to Capitol Records. She released her another song titled "Karma" in June 2018. Other of her songs are Butterflies, Mama's Hand, and Bad Boy all released in 2018. Queen and Clarence have started a joint Youtube channel named "Royal Family" from July 2018. They started posting their videos on their new channel. Queen was married to the Christopher Sails who was the famous blogger. They met each other at a basketball game during high school in 2013. They started dating each other in April 2013. They dated for four years before getting married to each other. Finally, they tied a knot to each other after a long love relationship in 2017. They were happy parents as well as their son Chris Jr. They were happy but the happiness did not last for long. They got divorced in 2017. Their divorce was highly-publicized in the limelight. Chris admitted that he cheated Queen. After the separation, she made clear that she will not be engaged in any relationship soon. She also stated that she would focus on her career. But it has been found out that currently, she is dating Clarence White. After break up with her Ex-Husband Chris sails, she went solo on the YouTube. She started her own Youtube channel. She was part of Youtube channel called Chris and Queen with her ex-husband, Chris. She made a good income for the Youtube Channel in the recent year. She has also started her new Youtube channel with her boyfriend Clarence named 'Royal Family'. Queen Naija Net Worth is $520000 with 2.7 subscribers on her channel and 150 million views as of 2018 so far. It is able to get 630,000-650,000 views per day from different sources which should generate an estimated revenue of $1,500 per day. Earlier, she had a Youtube channel called Chris and Queen with her ex-husband, Chris, where she uploads vlogs and prank videos. She has more than 2.7 million subscribers on her self-titled Youtube Channel. Her song "Medicine", become a big hit and gained 31st position on Genius' Top Songs chart.